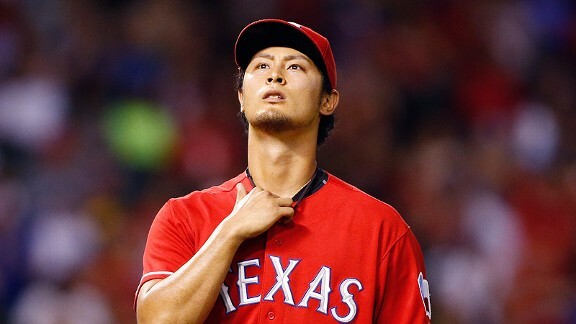 Ace right-hander Yu Darvish will not make his Opening Day start for the Texas Rangers. Free-agent catcher Chris Snyder has agreed to a minor league contract with the Washington Nationals. Catcher Chris Snyder has signed with the Los Angeles Angels on the same day he was released by the Washington Nationals. NASHVILLE, Tenn. -- If the Mets go the free-agent route at catcher, Miguel Olivo is now their top target, a major league source briefed on the Mets' plans told ESPNNewYork. NASHVILLE, Tenn. -- Don't look for a catcher who has passed through the Mets to return to the organization as the righy-hitting complement to Josh Thole.